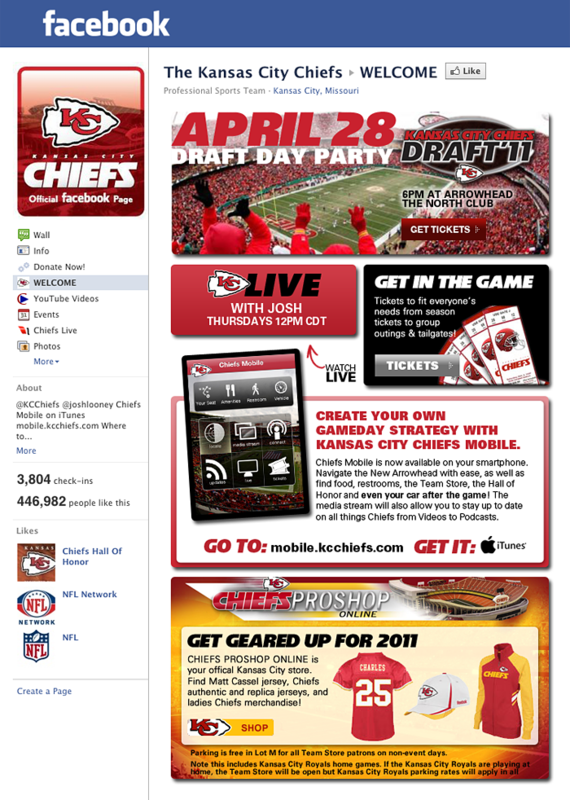 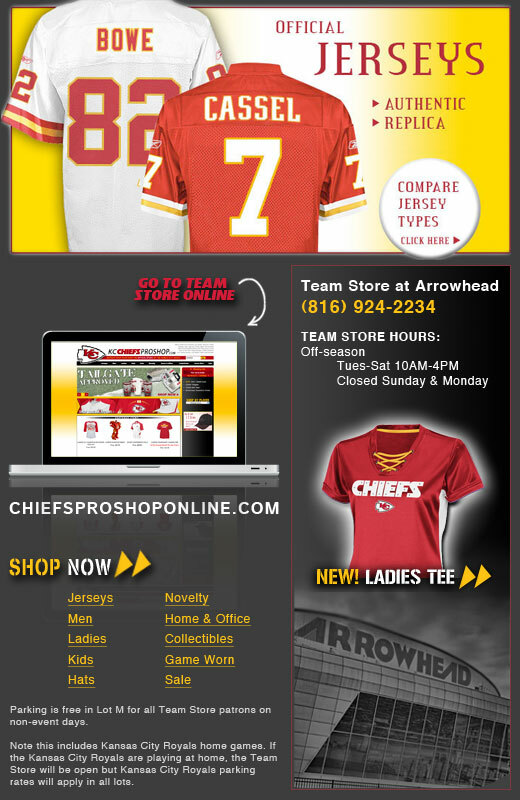 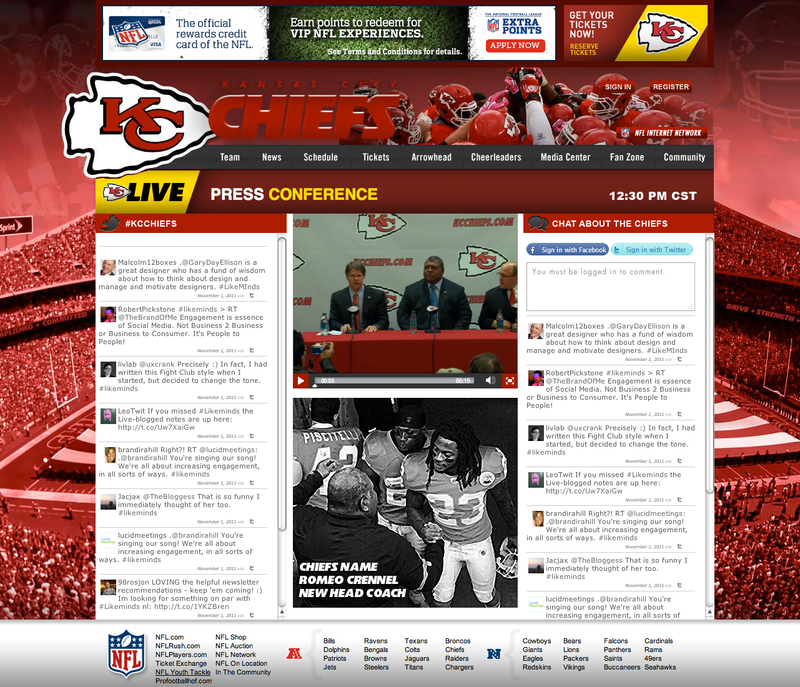 The Kansas City Chiefs were a retainer client for three years, so we worked with them on various types of digital assets, campaign ideas and interactive projects before they hired a new Digital Manager and brought all the work in-house. 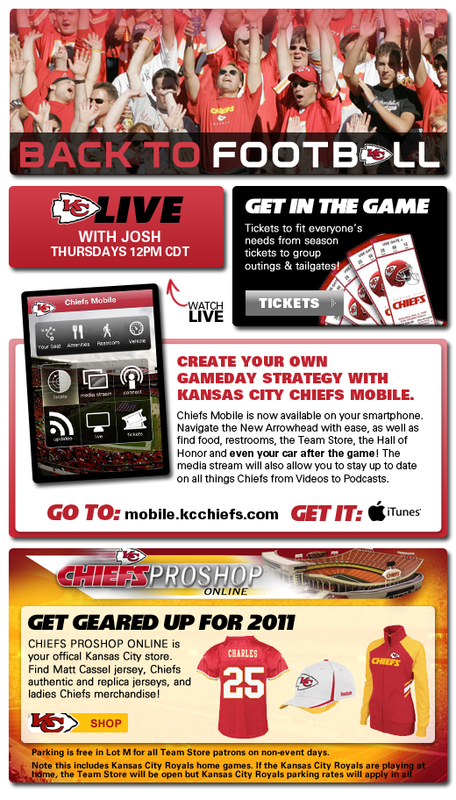 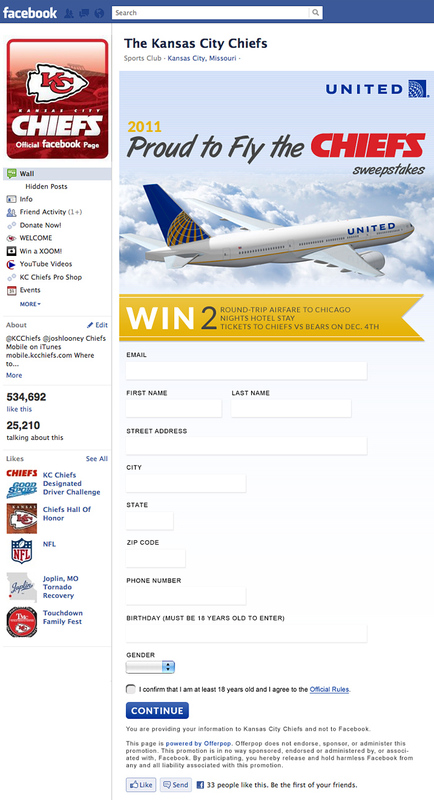 These are some examples of digital promotions we designed. 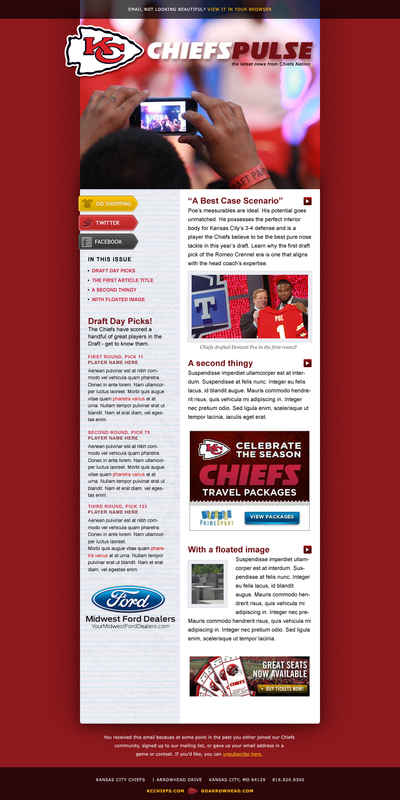 You’ll see a number of larger projects for them sprinkled throughout our portfolio.